Bill DeLord stands alone as the #1 Cadillac dealer in the Cincinnati and Dayton Area. When shopping for a New, Used or Certified Pre-Owned Cadillac, Bill DeLord Cadillac should be your first and last stop in Lebanon, Ohio. No matter what model or trim you’re looking for, we have it waiting for you at our dealership. 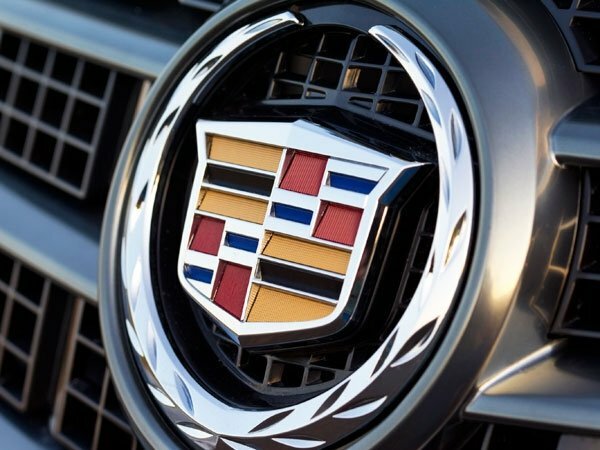 Located conveniently in Lebanon, Ohio, near Dayton, Springsboro, Middletown, Centerville, Mason and Cincinnati, Bill Delord Cadillac is definitely worth the drive! From the ATS, CTS, XTS and CT6 sedans to the XT5 and of course, the Escalade, our selection of models and trims have you covered no matter what it is Dayton and Cincinnati area Cadillac lovers are looking for. If you’ve seen something with a Cadillac logo on the grill, then we have it stocked. Drop by the dealership or schedule an appointment online to get inside the vehicle of your choice and get the Cadillac experience first hand. We promise you won’t be disappointed. Visit our monthly Cadillac Specials page to see if there are any deals that deliver you extra savings on our already extensive deals. Bill Delord Buick GMC Cadillac prides itself on 5-star customer service through our expert sales team. Our brand new Cadillac site will help all Ohio drivers to locate the used or new Cadillac of their dreams. However, the point of sale is only the beginning of our team’s elite qualifications. Outstanding Auto Repair and Service is just as important as sales, because once you’re here, you’re family. And everyone who bought their vehicle from Bill Delord is treated like family when they come in for service, whether it’s routine maintenance like oil changes, filter replacements, and tire rotations to more involved work like engine, transmission repairs and replacements. In fact, our technicians are specially trained to fix and repair any Cadillac and are equipped with any OEM Cadillac part needed. And while you’re here for service, every vehicle gets a complimentary car wash and you have access to courtesy transportation while your car is being serviced. Looking To Finance your Cadillac? – Bill DeLord Can Help! Once you’ve selected a Cadillac that’s right for you, you can find out your approximate monthly payment on our online payment calculator, as well as the value of your trade in. You can even apply for financing online! Most dealerships make you sit and wait hours, but at Bill Delord Buick GMC Cadillac, you can do this all from your living room couch! And when it comes to financing a Cadillac, at Bill Delord, we have an entire department committed to finding a purchase or lease deal in the Cincinnati area that works specifically for you and your budget. We have long standing relationships with all the top lending institutions in Ohio and nationwide and will make sure you are getting the absolute best deal possible on any new, used, or Certified Pre-Owned Cadillac. Bill Delord was recently recognized for his exceptional leadership and expertise by Lead Magazine, as the recipient of the 2017 Emerging Business Award. Recent 5-star reviews show that customers aware of the unparalleled Delord experience are driving in from all over to visit the dealership.